This is a landmark year for women. But it has to be all women. When women first got the vote, 100 years ago this year, it only applied to the most privileged women: the white women, the middle-class women, the women with property. While we celebrate this year as the centenary of women getting the vote, it isn’t really. Or at least, not for all women. It took another 10 years for all women to be counted. And this is a history we can all learn from again now, as we fight to finish the war that women like Emmeline Pankhurst and Millicent Fawcett began. That’s where Marchu Girma comes in. She’s the grassroots director of an organisation called Women for Refugee Women, which is one of the many organisations that will be heading to parliament next month to amplify the voices of marginalised women, women on the edge of society, refugee and migrant women. “When the MeToo campaign broke out in autumn last year, we were talking about Hollywood stars saying me too, and these women were like well me too, I’m a victim of abuse and I could never report it because I was afraid,” Girma told Global Citizen. “It was a key moment where there was this link because it’s about all women, all women count, it’s about all women trying to get change and reach out to the world and have power,” she added. 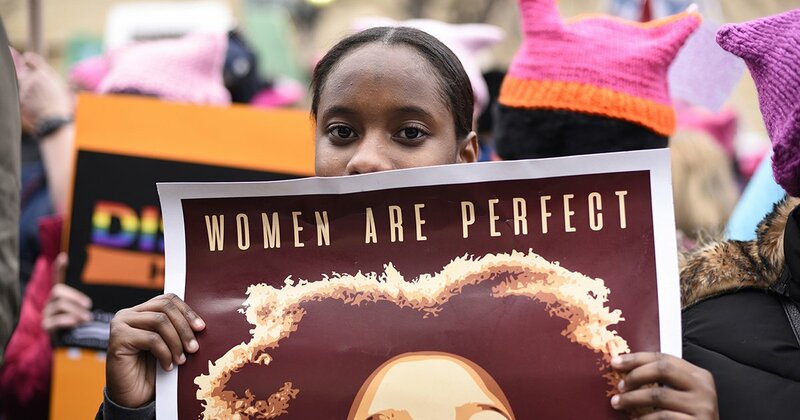 While the mainstream #MeToo movement is an important moment for women’s rights, there is a lot of work to do to ensure that the movement includes women’s voices from across all areas of society. Girma was born in Ethiopia, but her perspective on the migrant woman’s experience of British society began when she moved to London at age 11. “When I was growing up I knew lots of women who were around me who were going through the asylum process who were disempowered, were disenfranchised. They couldn’t be part of the society,” she says. For Girma, it’s not just a job. 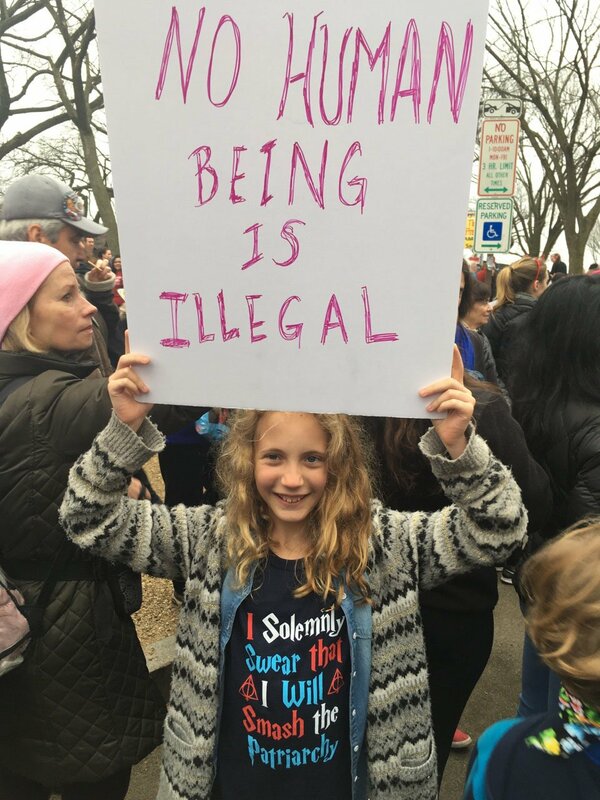 Nadia da Rosa, 15, from Providence, R.I., attends the Women's March on Washington, DC on Jan. 21, 2017 in Washington, on the first full day of Donald Trump's presidency. Girma has first-hand knowledge of what it’s like arriving in a new country, experiencing bullying, racism, and understanding the importance of a support network to guide you. In the idea of “belonging somewhere,” Girma understands that to mean somewhere where you’re safe, and where you can feel secure. “I had to navigate my way through a society that was oppressive but at the same time there were a lot of other people who really helped me and who were invested in my growth which helped,” she says. Girma, and the organisation she works for, Women for Refuge Women (WfRW), fight to support women who don’t have that network of family and friends to support them, and whose voices are being lost. A key part of how they do this, is to empower women through telling their stories, and helping them realise that their stories are important and can change people’s perceptions. WfRW will be heading to Westminster on March 8, for International Women’s Day, to demand safety, dignity, and liberty for all women. 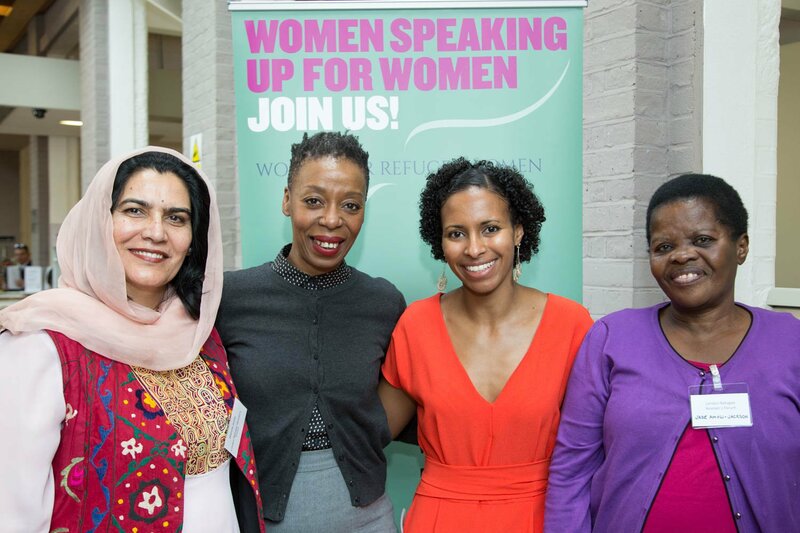 Alongside partners including Amnesty International, Oxfam, Care, the Fawcett Society, and the UN’s refugee agency, the UNHCR, they will be calling on parliamentarians to pledge to listen to refugee and migrant women, and support their human rights. “The struggle that they’re going through is the struggle that many women have gone through, many women in society have gone through,” she says. Finding that connection, and using it to give a platform to all people, for Girma, is what the MeToo movement is all about. Global Citizen campaigns to achieve the UN’s Global Goals, which include action on gender equality. You can join us by taking action here. Follow the centenary conversation with #AllWomenCount.